The early months of the year can seem a bit bleak. With Christmas behind us and summer a distant glimmer on the horizon, having a holiday to look forward to definitely puts a spring in our step. Just in case you’re lacking in inspiration, or even just feeling a bit spoilt for choice, we’ve decided to put together a few great holiday choices for you. So, whether you’re after a weekend break or a fortnight in the sun, take a look at the options and don’t forget to check out Admiral Travel Insurance before you go jetting off. Fancy a long weekend taking in some gorgeous architecture, wandering down winding side streets while discovering tasty tapas bars, or even a trip to see some of the world’s best football players in action? 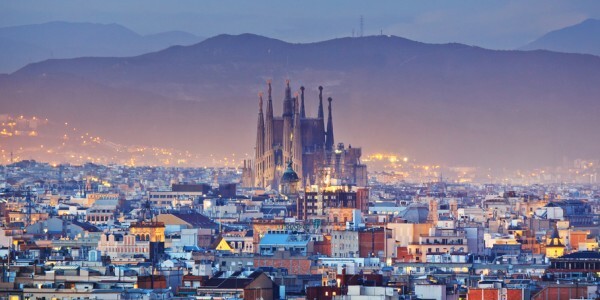 If this sounds like your dream trip then Barcelona is the place for you. With good weather nearly all year round and so much to see you definitely won’t get bored, you’ll enjoy every second of your weekend break in this Spanish city. Must see: Park Güell was designed by Gaudi and is now a UNESCO World Heritage Site, it’s filled with beautiful structures and boasts panoramic views of the city below. This spot is definitely worth a visit. Must do: Sometimes, it’s the places you didn’t plan on visiting that turn out to be the best. Spend a day wandering through the side streets off Las Ramblas and you never know what you’ll find – the perfect little cocktail bar or an impromptu operatic performance – anything’s possible! 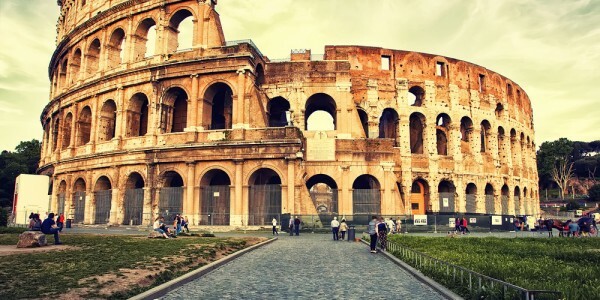 Where better to enjoy a week indulging in great food and fine art than Italy’s capital city, Rome? It’s the perfect place to visit if you’re looking for somewhere to explore and discover. Take your pick from the Pantheon, Colosseum, St Peter’s Basilica or the Vatican museums if you want to take in some history. Or take a seat in one of many, many restaurants and just enjoy watching the bustle of this captivating city go by while enjoying a pizza and a glass of red…or two. Must see: If you want to see the place where Romans originally carried out business transactions and solved political problems, then you should make time to visit The Roman Forum. Some of the monuments date back to the sixth century BC making this a real must-visit destination. Must do: You’ll never be stuck for something to do in Rome but if you’re looking for something away from the tourist traps, you should head over the river to Trastevere and enjoy a bite to eat. 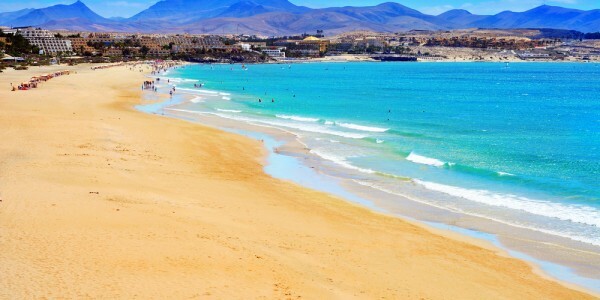 If you can’t wait until the summer months for a sun-drenched break then you could always give the Canary Island of Fuerteventura a try. With average temperatures in March at 18 degrees centigrade, this is the ideal place to get a vitamin D boost while the weather’s still dreary in the UK. Must see: Pay a visit to Parque Natural de Corralejo if you’re a fan of walking and sand dunes. You’ll spot kite fliers and wind surfers. Must do: Snorkelling of course! The small fishing village of El Cotillo is the place to go, with white sand and crystal blue seas – someone book us a flight immediately! If, like us, you were wishing for snow this Christmas then you’re probably feeling a little bit disappointed – we definitely are! So, perhaps a trip to some snowy mountain ranges is exactly what you’re craving, if so, why not book a trip to Val d'Isère in France? Widely considered as one of the best ski resorts in Europe, Val d’Isère is great place to go if you like your skiing trips with a healthy dose of live music and parties. Must see: An orientation table called Rock of Bellevarde is a highly recommended spot to visit. 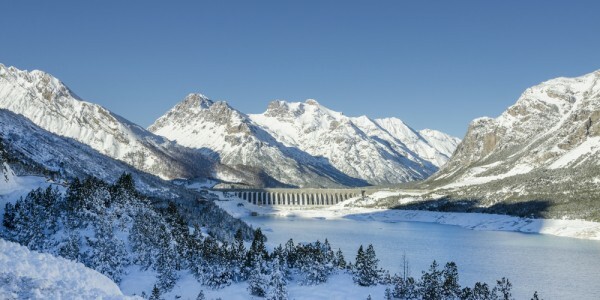 At a height of 2,862m you’ll be able to view glaciers and sources of the River Isère below. Must do: La Folie Douce is an outdoor bar and the self-proclaimed ‘place to be’ if you want a mix of good food and high-altitude clubbing. Fans of outdoor drinking and Euro-pop form an orderly queue. Don’t forget, once those trips are booked get your travel insurance in place. Whether you’re looking for annual insurance, single-trip or winter sports, get a quote from Admiral today.